Endurance athletes tend to focus on carbohydrate intake and pay little, if any, attention to protein. As a result, protein deficiency appears often among endurance athletes with its inevitable negative effects on performance and health. Serious endurance athletes do need considerable amounts of protein, far above the normal recommended daily allotment because maintenance, repair, and growth of lean muscle mass all depend on protein. So does one's optimum immune system function. Low dietary protein lengthens recovery time, causes muscle weakness, and suppresses the immune system. Chronic protein deficiency will cancel the beneficial effects of your workouts. Instead, you will become susceptible to fatigue, lethargy, anemia, and possibly even more severe disorders. Athletes with over-training syndrome usually have protein deficiency. In addition to the usual information we offer concerning all of our fuels and supplements, the issue of protein intake also requires dealing with some misperceptions. Endurance athletes have certain oft–spoken beliefs about protein intake and in this section we'll look at the three most commonly voiced. When you get down to it, we are body builders in some respects, building our bodies to do what we want them to. The truth is that endurance athletes and bodybuilders have similar protein requirements, but the way in which the body uses the protein differs. Bodybuilders need protein primarily to increase muscle tissue. Endurance athletes need protein primarily to repair existing muscle tissue that is undergoing constant breakdown from day–to–day training. Actually, the type of training you engage in determines whether you bulk up or not. High volume endurance training does not produce muscle bulk, regardless of protein intake, whereas relatively low volumes of strength training will. Either way, muscle tissue requires protein. Additionally, it is the volume of calories you consume—be it from carbohydrates, protein, or fat—that is the primary factor in weight gain. You’ve simply got to have more calories going out (i.e. “being burned”) during exercise and other activities than you have coming in via the diet to avoid unwanted weight gain. While carbohydrates are indeed the body's preferred source of fuel, protein plays an important part in the energy and muscle preservation needs of endurance athletes. Protein is mainly known for its role in the repair, maintenance, and growth of body tissues. It also has a role in energy supply. After about 90 minutes of exercise in well-trained athletes, muscle glycogen stores become nearly depleted and the body will look for alternative fuel sources. Your own muscle tissue becomes a target for a process called gluconeogenesis, which is the synthesis of glucose from the fatty and amino acids of lean muscle tissue. The degree of soreness and stiffness after a long, intense workout is a good indicator of just how much muscle cannibalization you have incurred. Adding protein to your fuel mix provides amino acids and thus reduces tissue cannibalization. As discussed in the article Proper Caloric Intake During Endurance Exercise, it's important that the workout fuel contain a small amount of protein when exercise gets into the second hour and beyond. Research has shown that exercise burns up to 15% of the total amount of calories from protein by extracting particular amino acids from muscle tissues [Lemon, PWR “Protein and Exercise Update” 1987, Medicine and Science in Sports and Exercise. 1987;19 (Suppl): S 179–S 190.]. If the endurance athlete does not provide this protein as part of the fuel mixture, more lean muscle tissue will be sacrificed through gluconeogenesis to provide fuel and preserve biochemical balance. Simply put, when you exercise beyond 2–3 hours, you need to provide protein from a dietary source or your body will “borrow” amino acids from your muscle tissue. The longer you exercise, the more muscle tissue is sacrificed. This creates performance problems both during exercise (due to increased levels of fatigue–causing ammonia) and during your post–exercise recovery (due to excess lean muscle tissue damage). Bottom line: During exercise that extends beyond about two hours, the wise endurance athlete will make sure that both complex carbohydrate and protein intake are adequate to delay and offset this cannibalization process. Which protein use before, during, and after exercise has been a subject of much debate. We recommend a combination of both soy and whey protein, used at separate times, to provide the most comprehensive support for an endurance athlete's diet. We believe that whey protein is the premier protein for recovery and enhanced immune system function, while soy protein is ideal for fulfilling protein requirements prior to and during endurance exercise. That doesn't mean using soy protein for recovery purposes would be "wrong" or in any way harmful. For optimal benefits, though, you'll not find a better protein for recovery and immune system boosting than whey protein, in particular, whey protein isolate. For exercise–specific benefits it's hard to top soy, which is the main reason we use it in both Sustained Energy and Perpetuem. Because it has less potential than whey protein for producing ammonia, a primary cause of muscle fatigue, soy protein is best used prior to and during exercise. That alone would make soy the preferential choice for use during exercise. Soy has yet more benefits too. As mentioned in the Proper Caloric Intake During Endurance Exercise article, soy protein has a unique amino acid profile. This composition adds to its attractiveness as the ideal protein to use during endurance exercise. Although not as high in concentration as whey protein, soy protein still provides a substantial amount of branched chain amino acids (BCAAs) which your body readily converts for energy production. BCAAs and glutamic acid, another amino acid found in significant quantity in soy protein, also aid in the replenishing of glutamine within the body without the risk of ammonia production caused by orally ingested glutamine, an amino acid usually added to whey protein. Soy has high amounts of both alanine and histidine, which is part of the beta–alanyl l–histidine dipeptide known as carnosine, renowned for its antioxidant and acid buffering benefits. Soy protein also has a high level of aspartic acid, which plays an important role in energy production via the Krebs cycle. Lastly, soy protein has higher levels of phenylalanine than does whey, which may aid in maintaining alertness during extreme ultra distance races. For general health benefits, it's hard to beat soy. Soy protein contains multitudes of health–enhancing phytochemicals. Scientific research has established many connections between soy consumption and lower rates of certain cancers, notably breast, prostate, stomach, lung, and colon. Comparing cancer rates for the U.S. with those of Asian countries (which have soy rich diets) shows some remarkable differences. For instance, Japan has one-fourth the rate of breast cancer and one-fifth the rate of prostate cancer. In China, medical researchers linked the consumption of soymilk to a 50% risk reduction for stomach cancer. Studies done in Hong Kong suggest that daily soy consumption was a primary factor in a 50% reduction in the incidence of lung cancer. SOY PROTEIN – FRIEND OR FOE? Phytoestrogens from plant lignans or isoflavonoids from at least 15 plants behave within the body like weak estrogens. Phytoestrogens are so chemically similar to estrogen that they bind to the estrogen receptors on the cells within the body. It should be emphasized that they do not initiate the same biological effects that true estrogens exert. Phytoestrogens paradoxically act as anti-estrogens, effectively diluting the impact of the body's own production of estrogen, because they occupy the same receptor sites (estradiol receptor sites) that would otherwise be occupied by endogenous estrogen. Therefore plant phytoestrogens protect the body from the detrimental effects of excessive estrogen. The healthy foods and supplements that introduce phytoestrogens into the diet are Mexican wild yam, black cohosh, red clover, licorice, sage, unicorn root, soy, flax seeds, and even tiny sesame seeds. None of these foods are associated with behavioral change or hormonal modification. Consuming GMO–free soy protein generates anabolic sequences desirable for the health-conscious male and female endurance athlete, especially the 40–and over athletes. If allergenic, thyroid, or digestion issues are present, then another protein should be selected. Soy's phytoestrogen properties block the effects of potent endogenous estrogens, with no known gender effects to males or females as reported from the literature. The net result from soy protein consumption is anabolic lean muscle mass gain. While I regard soy as an excellent dietary protein, alternating soy with other lean dietary proteins during training presents a responsible and defendable rationale. Each scoop of Hammer Soy provides 25 grams of the highest quality, 100% GMO-free soy protein, without any fillers, added sugar, or artificial sweeteners or flavoring. Hammer Soy's highly concentrated nature makes it a hunger-satisfying addition anytime, helping you to easily fulfill your daily protein requirements. Add Hammer Soy to juices, smoothies, or other soy-based drinks to make a satisfying and healthy meal. It's also a great addition when making pancake or muffin batter, adding high quality, all-vegetable protein to the mixture. For enhancing the recovery process, whey protein has no peer. As mentioned in the article, Recovery – A crucial component for athletic success, whey protein has the highest biological value (BV) of any protein source. BV rates the availability of the protein once ingested, and whey is arguably the most rapidly absorbed protein, exactly what you want post-workout. Whey protein's amino acid profile contains the highest percentage of essential amino acids, 25% of which are the BCAAs leucine, isoleucine, and valine, the most important for muscle tissue repair. Whey is also a rich source of two other important amino acids, methionine and cysteine. They stimulate the natural production of glutathione, one of the body's most powerful antioxidants and a major player in maintaining a strong immune system. Glutathione also supports healthy liver function. 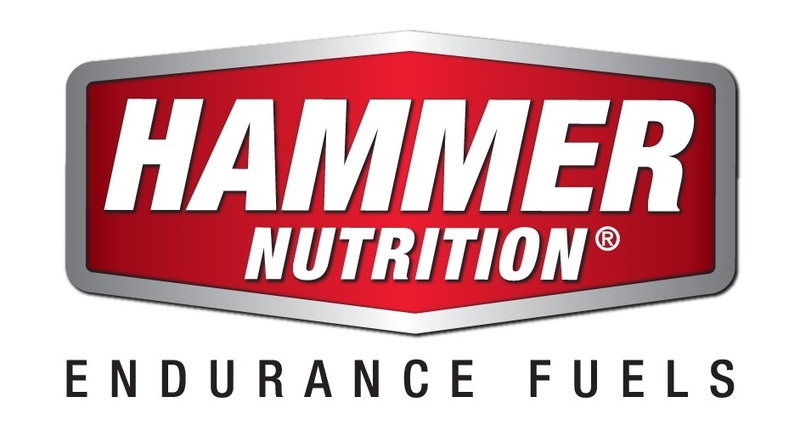 Each scoop of Hammer Whey contains 18 grams of 100% micro–filtered whey protein isolate, with no added fillers, sugar, or artificial sweeteners or flavoring. The key word here is isolate. Manufacturers supply two forms of whey: isolate and concentrate. Whey protein concentrate contains anywhere from 70% to 80% actual protein (and, sadly, sometimes even less). The remainder being fat and lactose. Isolate, on the other hand, contains 90% – 97+% protein with little, if any, lactose or fat, making it the purest form of whey protein available. Because isolate contains almost no lactose, even those with lactose intolerance find it an easily digestible protein source. We use only isolate in our whey–containing products, Hammer Whey and Recoverite. In addition, each scoop of Hammer Whey contains a whopping six grams of glutamine, a remarkable amino acid. Space limits all that could be written regarding the benefits of this extraordinary, multi–beneficial amino acid, but needless to say, it's essential for endurance athletes in supporting enhanced recovery and immune system function. Glutamine is the most abundant amino acid in your muscles. Intense exercise severely depletes glutamine, which makes supplementation so important. Glutamine plays a significant role in the glycogen synthesis process, and along with the branched-chain amino acids, glutamine helps repair and rebuild muscle tissue. In addition, glutamine has also been shown to help raise endogenous levels of glutathione, which is intimately involved in immune system health. Glutamine contributes to growth hormone release and is a key component for intestinal health. For more detailed and referenced information on this remarkable amino acid, please read Dr. Bill Misner's article, Glutamine Benefits. How much protein do endurance athletes need to consume? Numerous studies have demonstrated that endurance athletes in heavy training need more protein than recreational athletes do. Once it was believed that 1/2 gram of protein per pound per day was sufficient (2/3 to 3/4 grams of protein per pound of body weight). Today’s standards, however, would increase that figure to about 100–112 grams. To find out how much you require, multiply your weight in kilograms by 1.4 to 1.7, depending on your exercise intensity. This gives you the amount of protein (in grams) that you should consume on a daily basis. (To convert from pounds to kilograms, divide by 2.2). Thus, a 165–pound (75 kg) athlete in high training mode should consume about 128 grams of protein daily. In real-life amounts, to obtain 128 grams of protein you would need to consume a quart of skim milk (32 grams), 3 oz. of tuna (15 grams), 7 oz. of lean chicken breast (62 grams), 4 slices of whole wheat bread (16 grams), and a few bananas (one gram each). Of course, we get protein in some amounts from a variety of foods. But how many of us down the equivalent of a quart of milk, a half-can of tuna, two chicken breasts, and four slices of whole wheat bread every day? Track and record your diet and do some calculating. It takes quite a bit of effort to ensure adequate protein intake, especially for vegetarians and those who avoid dairy products. Remember to include protein intake from Sustained Energy, Perpetuem, and Recoverite in your calculations. If you still come up short, consider additional applications of Hammer Whey and/or Hammer Soy. If you're serious about your performance and also your health, then respect the importance of providing adequate protein in your diet. 1 rounded scoop of Hammer Whey (equal to about 1.25 scoops) with 3 servings (approx. 5 tablespoons) of Hammer Gel in 8–10 ounces of water. This provides approximately 370 calories from approximately 22.5 grams of protein and approximately 69 grams of carbohydrates. 3–4 scoops of Sustained Energy with 1/2 scoop of Hammer Whey in 16 ounces of water. This provides roughly 400 – 508 calories from approximately 19 – 22 grams of protein and 68 – 91 grams of carbohydrates. 2–3 scoops of Sustained Energy with 1 scoop of Hammer Whey in 8 ounces of organic orange juice. This provides approximately 404 – 511 calories from 26.5 – 30 grams of protein and approximately 71 – 94 grams of carbohydrates. 1/2 scoop of Hammer Soy with 2–3 servings (approximately 3.5 – 5 tablespoons) of Hammer Gel in water. This yields approximately 46 – 69 grams of carbohydrates and approximately 12.5 grams of protein equaling roughly 235 – 325 calories. 1/3 scoop of Hammer Soy with 2–2.5 scoops of Sustained Energy in water. This yields approximately 45 – 57 grams of carbohydrates and approximately 14.75–16.5 grams of protein equaling roughly 251–305 calories. 3 scoops of Sustained Energy in water supplies 320 calories from 68 grams of carbohydrates and 10 grams of protein. 2–2.5 scoops of Perpetuem in water provides 270–337.5 calories from 54–67.5 grams of carbohydrates and 7–8.75 grams of protein. Note: Before cold weather workouts or races, a WARM bottle of caffe latte Perpetuem is the ticket! Although it’s not given the same kind of “status” as carbohydrates, there can be no doubt that obtaining adequate amounts of protein in the diet is crucial for endurance athletes. Use the information in this article to help you determine what kind of protein to use and how much, and start reaping the athletic performance and overall health benefits!